Forlino can accommodate any private and corporate events from corporate conferences, luncheons, seminars, meetings, to birthdays and anniversaries. We are also the ideal venue for weddings and solemnizations with up to 90 seated or 150 standing guests; the delectable Italian fine dining cuisine and breathtaking view will give you and your guests the exceptional sensory experience for an unforgettable event. Furniture can be reshuffled as per your preference. 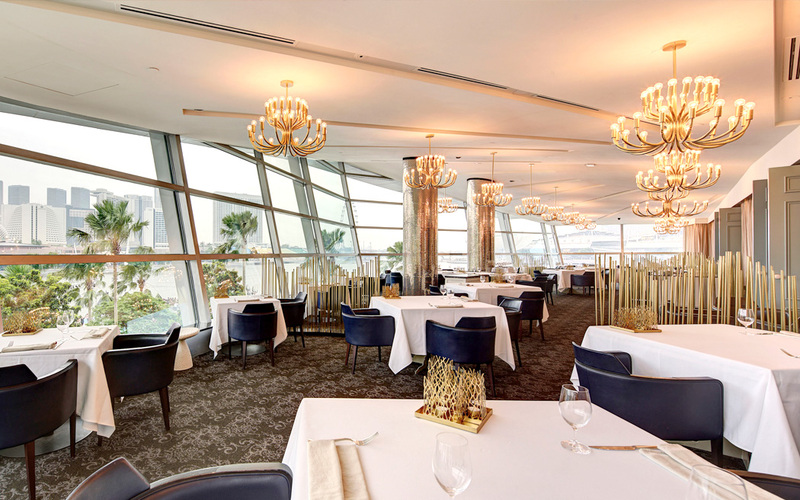 Our intimate and exclusive private dining rooms, Gaia (seats 12) and Serena (seats 22), offer an exquisite view of the bay while you enjoy our Italian fine dining cuisine. We also have a fully stocked bar, available as a holding area for your guests before the commencement of your event.